Welcome to Rochet Family Chiropractic. Dr. Romar Rochet has been serving the families of South Florida with principled chiropractic care since 2008. Our practice currently serves clients from Royal Palm Beach, Wellington, Loxahatchee, Greenacres, Lake Worth, Port St. Lucie, Jupiter, Juno Beach, Ft. Pierce, and Ft. Lauderdale, as well as, from as far away as, Ohio, New York, New Jersey, North Carolina, Egypt, Germany, Canada, Mexico and the Caribbean. Our results speak for themselves. This is why our clients have made Dr. Rochet one of the best rated chiropractors in the area. 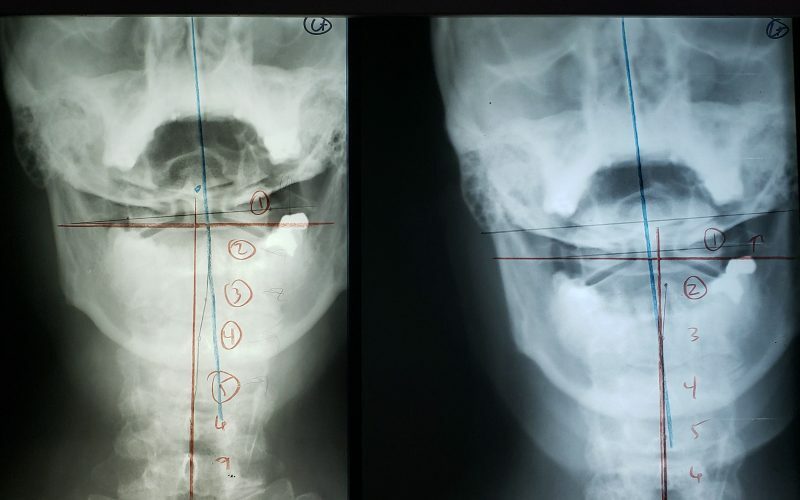 Our practice focus is on Structural Correction of the Spine. "Spinal structural correction" is different than "pain based" chiropractic care. Our reason for adjusting the spine is NOT dependent on secondary conditions like pain. We base our care recommendations on the results of a focused health history examination, coupled with x-rays of the spine. These recommendations are purposed to return the spine to its ideal alignment, or as close as is physically possible. Similar to braces for teeth, our correction plans require force (a specific chiropractic adjustment) and time. This approach has helped our patients avoid surgery, heal from many different secondary conditions, and yes, feel better. We believe that maintaining health is far superior than treating disease, and the best way to maintain health is to maintain the spine. The spine is the guardian of the central nerve system, any abnormal spinal misalignment will have both a physical (structure) and physiological (function) effect on the body. Structure determines function! 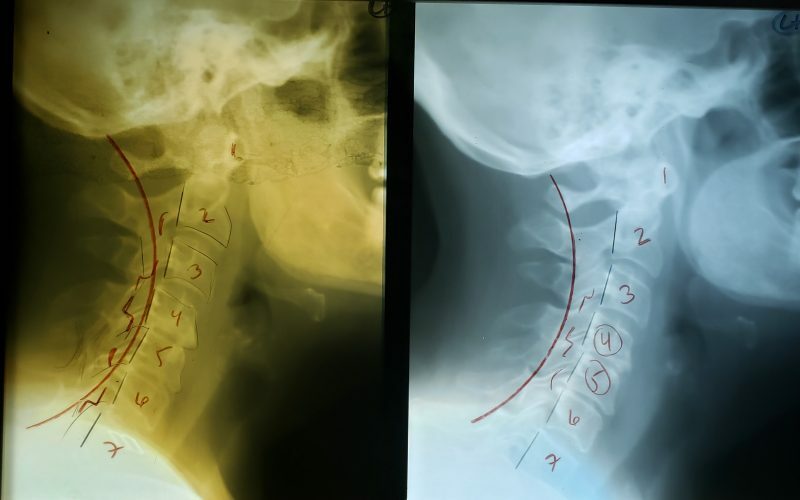 Chronic spinal misalignment (subluxation) creates physical (structural) degenerative stress that causes the spine to break down faster than normal, producing disc problems (bulging, herniation, etc) as well as spine problems (stenosis, spondylosis, etc). Chronic subluxations also produce physiological (functional) effects by causing interference with the nerve flow between the brain and body. This interference to nerve flow produces systemic dis-ease (a lack of harmony), allowing our internal organs and other systems to malfunction, eventually producing some type of disease (illness). We believe that we were created as self healing organisms, and that the body can, and does, heal itself, from the inside out. When chiropractic adjustments are applied at the right time, at the right place, with the right intention and right purpose, the spine stays healthy. More importantly, a healthy and aligned spine keeps the communication (nerve flow) between the brain and body at close to ideal / normal levels. 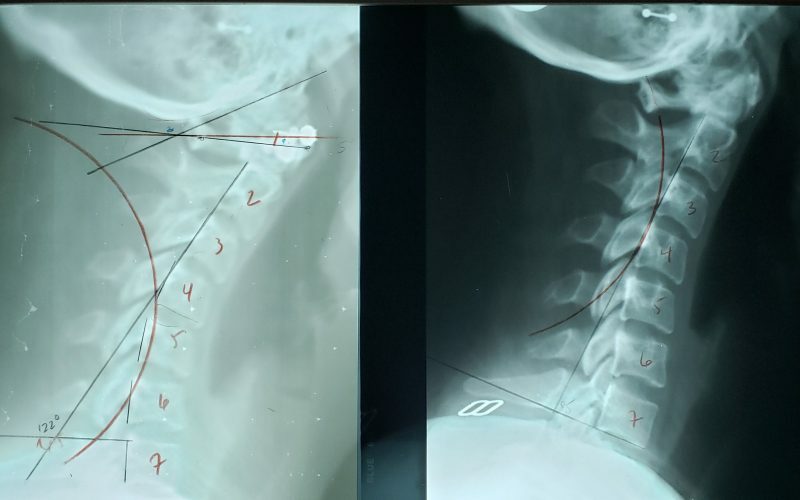 A properly aligned spine produces a fully connected nerve system, which leads to a healthier person and better life experience. If you believe that you could be experiencing a better quality of life, with more energy and more focus, then structural correction chiropractic care of your spine may be the answer you have been looking for. To provide a welcoming, loving environment where individuals and families can come to regain their lost vitality and express as much of their potential, through the structural correction of the spine. We serve God, by utilizing the talent of the specific chiropractic adjustment along the Principles of Chiropractic, so that each and every individual we care for, can maximally express their God-given potential to heal themselves, from the inside out. The following are real people, with real improvements to their spinal alignment. They would tell you of improved quality of life, improved activities of daily living, and an overall greater life experience because of their spinal correction. Male in his late 60's. 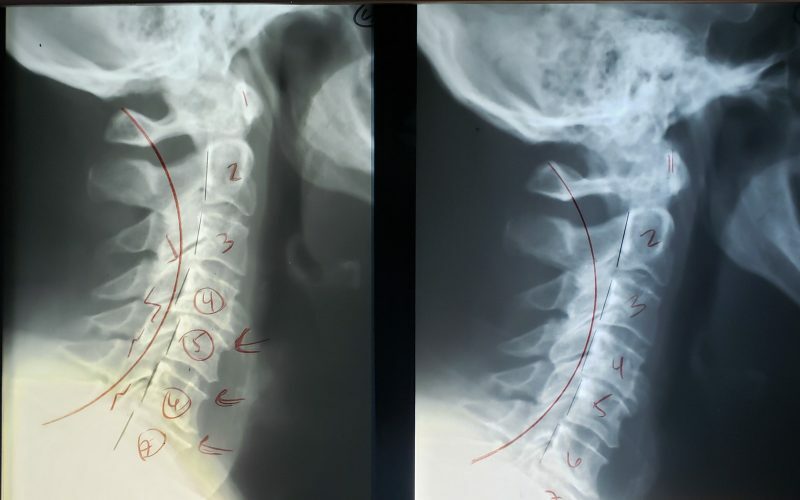 Severe neck pain after an auto accident. Look at the alignment of C4 on C5. Came to us complaining of severe headaches and neck pain with occasional radiating pain into his arms and hands. He is currently under active care and has had all of his secondary conditions resolve except the headaches. Female in her 60's. Referred to us for sciatica lasting more than 20 years. Medical interventions were unsuccessful. She is currently under maintenance care. She relates improved sleep, better flexibility, better rest, improved immunity, more energy, better mental clarity, better focus and her sciatica resolved in the first 2 visits. Female student in her 20's. Referred to us because of debilitating migraine headaches, pain radiating into her arms and hands, and upper back pain. Through history, she related hormonal abnormalities (thyroid) as well as reproductive system issues (dysmenorrhea, irregular cycle and severe pain during her cycle). All of her secondary conditions resolved after the first 2 months of care. A man in his late 60's. He is under active care to continue the correction process. Relates: improved sleep, better mental clarity, decreased neck stiffness, improved range of motion, complete resolution of headaches and radiating pain into his arms. Dr. Rochet is exceptional. He returned to proper position my clavicle / collar bone that has been out of place for over 20 years. The positive consequences of having that collarbone back in place are too great to list here. He also helped the other regions of my spine, lumbar and thoracic and upper thoracic, and showed me stretches to do to help maintain the good posture and physical prowess his adjustments helped return me to. His adjustments hold very well if you follow his advise. Dr. Rochet has also helped my daughter with several different spinal issues resultant of a trauma she received at age 12, prior to her spine firming. He and Dr. Jonathan Chung, a colleague of Dr. Rochet's, who practices upper cervical chiropractic care nearby, have really given my daughter a new lease on life. I thank God for them and very strongly recommend them both. I wish the reviewer who gave a 4 star review and then wrote a raving comment would change his stars to 5 because it's not in my opinion fair to leave it at 4, Dr. Rochet deserves full 5 stars. Rochet Family Chiropractic was highly recommended by a dear friend. I been a patient for a year now and forever grateful! my eyes have seen and believed! -Healing is not a pain free process (takes time) but the benefits are countless (you'll soon realize). Dr. Rochet and staff are passionate, amiable and very knowledgable, always willing to answer questions or any concerns you may have. You will be treated, loved on, and cared for like family!! The holistic and preventative health approach is ultimately-the way to go! Romar is incredible. Not only is he courteous, but he knows his stuff. I hurt my should a couple months ago and since starting my treatment, the pain is completely gone and I’m starting to slowly regain my lost strength. I’ve been to other chiropractors in the past and have always felt like I’m being prescribed treatment from a check list. With Romar, he assesses and works based on what he sees. No session is the same. This is a wonderful place never felt so good in a long time. Recommended to all my friends. Tks Dr. Rommer. Blessed hands! He is a great chiropractor, no more pills. Dr. Rochet has done so much for the health of our entire family of 5. His adjustments are the most gentle of any chiropractor we have ever been. Our whole family loves Dr. Rochet. Our family started seeing Dr Rochet a year ago! He has helped us with back, migraine issues. We have seen increased immune system benefits as well! My 3 year old son started with us and well. His constipation issues were relieved after the first visit and he has been extremely healthy this past year! I would highly recommend Dr ROMAR ! Dr. Rochet was recommended to me by a freind, My migraines went away after the first couple visits and I have not had one since. The Best....Dr Rochet takes his time to explain everything he is doing, what was out of alignment and the benefits of his adjustments. His positive energy is contagious. Thank you Doc! Dr. Romar served my whole family yesterday. The experience was fantastic and I would highly recommend their services. We were impressed by how well he handled our kids (2 year old & 6 month old), especially in that he had taken the time to educate us and to share his personal philosophies, which we found to be highly agreeable. There was no wait time and his staff is very friendly and helpful. The Family practice is incredible! I had a car accident and Dr. Rochet has been super supportive and has been adjusting my spine with care and knowledge. He is very professional and super reliable. The newsletters he sends out are informative and keeps everyone up-to-date. AND he speaks Spanish as well!! Huge blessing! Thank you Dr. Rochet!